The following is a guest blog written by Ewalina U. Ochab. Since 2014, Nigeria has gained a lot of international attention due to the mass abductions of girls and women by the terror group Boko Haram, especially after 14 April 2014, when they kidnapped 276 girls between 16 and 18 years of age from a secondary school in Chibok. The kidnap of the 276 girls was followed by an international campaign called ‘Bring Back Our Girls’, which was supported by international voices including Michelle Obama. However, another perpetrator of atrocities in Nigeria has not gained adequate attention despite having committed mass atrocities in the Middle Belt, some of which amount to crimes against humanity. What is happening in the Middle Belt? The Middle Belt is the region in the central part of Nigeria including Kaduna, Plateau, Nasarawa, Benue, and Tarawa states. The Middle Belt split Nigeria into the predominately Muslim north and the predominately Christians south. However, it is not the Christian south and the Muslim north that clash in the Middle Belt. The Middle Belt itself is predominately populated by Christian farmers, but there is also a sizeable population of Fulani herdsmen. Also known as Fulani militia, they are a semi-nomadic, pastoralist ethnic group living in the central part of Nigeria, predominately in the Middle Belt region. The majority of Fulani herdsmen are Muslim. Over the years, the Middle Belt has seen violence perpetrated by Fulani herdsmen. They have clashed with indigenous tribes and local, mainly Christian, farmers over grazing. The most affected by the violence are five states in the Middle Belt, namely: Kaduna, Plateau, Nasarawa, Benue, and Taraba. However, some reports suggest that the Fulani herdsmen have also reached regions beyond the Middle Belt area, including Oyo and Enugu (southern states) and Zamfara and Gombe (northern states). The clashes in the Middle Belt intensified around the 2011 elections, and again around the 2015 election, which may suggest a political connotation. Earlier this month, the World Watch Monitor released a video interview with Professor Yusufu Turaki, Director of the Centre for the Study of Religion, Church and Society at Jos ECWA Theological Seminary in Nigeria about the violence in the Middle Belt. The video conveyed the message that the violence in the Middle Belt between Fulani herdsmen and Christian farmers is religious in nature. The Nigerian government has rebutted on a number of occasions that the violence in the Middle Belt is religiously motivated. However, the pattern of the violence in the region tells a different story. Despite the years of violence in the region, the year 2014 was marked by a rapid increase of atrocities committed by Fulani herdsmen in the Middle Belt area and beyond. In that year, they were responsible for over 154 incidents of violence, resulting in at least 1,229 fatalities. Consequently, Fulani herdsmen were called the fourth deadliest militant group in the world in 2014, having killed more people than Boko Haram. In that year, more than 100 churches were destroyed and over 200 were abandoned in southern Taraba. In 2015, there were 630 fewer deaths than the previous year. However, over the subsequent years, the atrocities perpetrated by Fulani herdsmen continued unabated. Because of the systematic nature of the recent attacks and the targeting of Christians in the region, reports suggested that Fulani herdsmen wanted to eliminate the presence of Christians from the area. This continues to be a serious threat that is not adequately addressed by the Nigerian government. Similarly, the international community remains silent in relation to the violence in the Middle Belt region, while only focusing on Boko Haram in Northern Nigeria and West Africa. Indeed, the Office of the Prosecutor of the International Criminal Court opened a preliminary examination of the situation in Nigeria in 2010. However, no case against Fulani herdsmen has been identified. Similarly, the United Nations is predominately engaged with the threat posed by Boko Haram. The ongoing atrocities perpetrated by Fulani herdsmen have a significant effect on the Christian population residing in the Middle Belt region, and contribute to the dire situation of Christians in Nigeria. The religious nature of the conflict cannot be denied. However, some political connotation is visible as well. 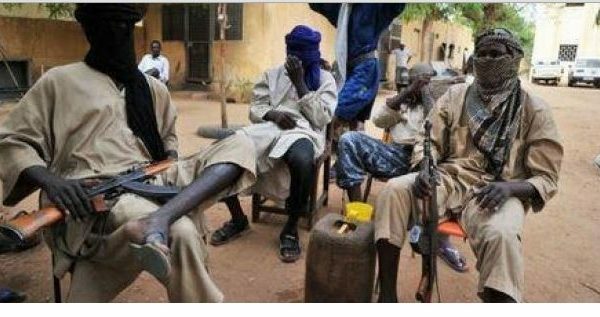 Until this day, the question remains: from where do Fulani herdsmen, a semi-nomadic and pastoralist group, get their weaponry such as Kalashnikovs? International attention and an independent investigation into the violence in the Middle Belt are urgently needed. However, the international institutions remain silent in light of the ongoing violence, giving a carte blanche for the atrocities to continue. 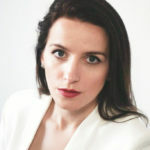 Ewelina is a human rights advocate and author of the book “Never Again: Legal Responses to a Broken Promise in the Middle East.” Ochab works on the persecution of minorities around the world, with main projects including Daesh genocide in Syria and Iraq, Boko Haram atrocities in West Africa, and the situation of religious minorities in South Asia. Ochab has written over 30 UN topical reports (including Universal Periodic Review reports) and has made oral and written submissions at the Human Rights Council sessions and the UN Forum on Minority Issues. Ochab is currently working on her Ph.D. in international law, human rights and medical ethics.